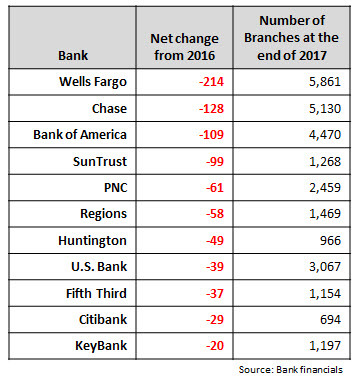 In reporting their quarterly and annual financials, leading U.S. banks reported continued declines in their branch networks. These declines are driven by banks’ need to cut costs, as well as reflecting the significant shift to digital channels by consumers and businesses for their everyday banking needs. However, There is plenty of evidence that banks remain fully committed to their human channels, especially the branch channel. JPMorgan Chase announced last week that it plans to open up to 400 branches in the next five years in new markets. At its 2017 Investor Day, Citigroup discussed its retail banking campaign in Manhattan, which featured three new Citigold Centers as well as the addition of 70+ relationship managers and financial advisors. This campaign led to a 16% rise in checking deposits, 18% growth in assets under management, and 35% increase in personal and home equity loans. 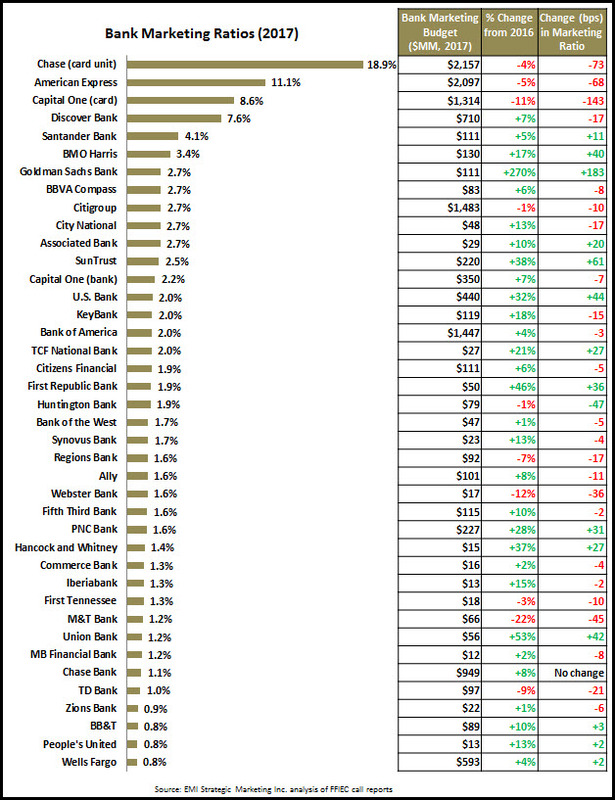 Wells Fargo has a branch presence in more than 460 markets, which it considers to be a competitive advantage over national banking competitors such as Chase and Bank of America, both of whom are in less than 250 markets. 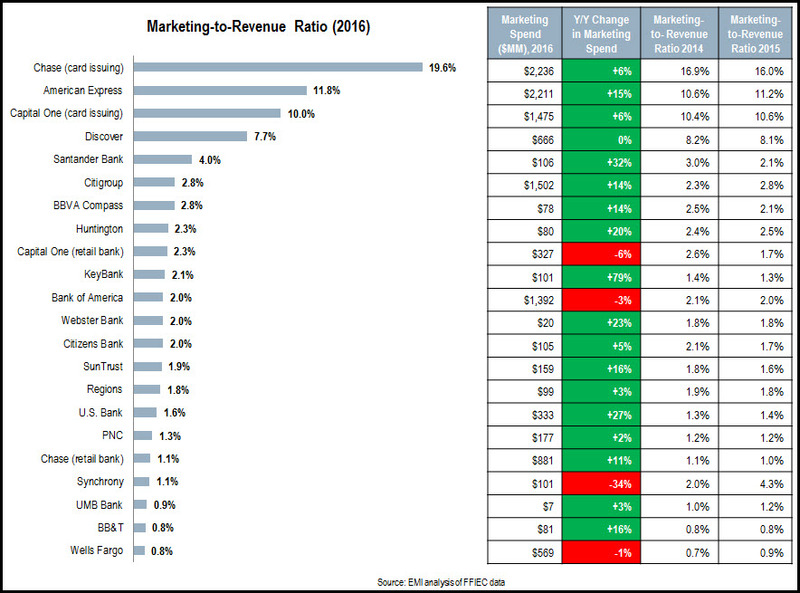 Wells Fargo also highlights that it is in the 15 fastest-growing U.S. markets. 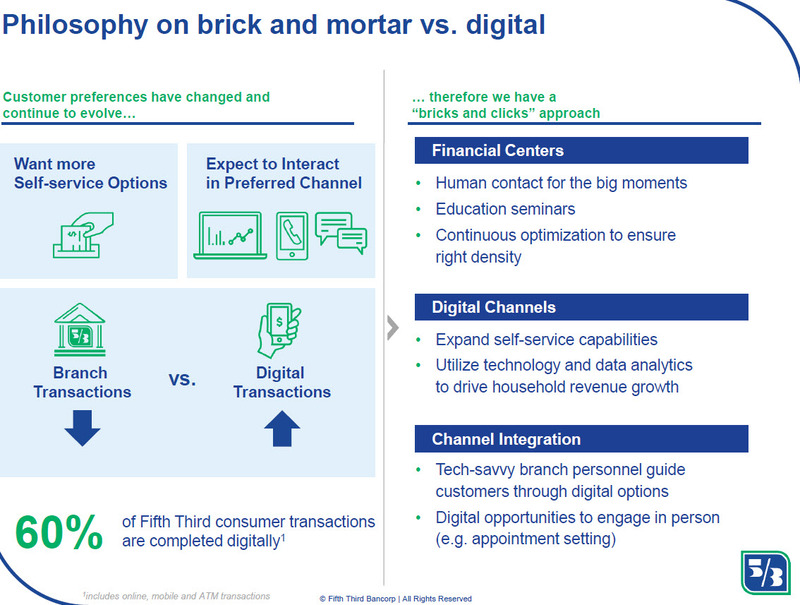 Fifth Third presented its “bricks and clicks” approach at its Investor Day, which articulated the roles of both digital and branch channels as well as the importance of integrating these channels. Why do banks remain committed to human channels? While digital channels are effective for day-to-day banking needs, bank clients tend to prefer human channels for their more personal and complex banking needs. With the switch to digital channels for everyday banking, banks no longer need highly-dense networks in order to establish or maintain a physical presence in new markets. Reflecting their changing role, branches are increasingly staffed with specialists (e.g., mortgage bankers, small business bankers, investment bankers) who increase branch effectiveness as a sales channel. Maintaining a branch presence in a market is key to raising and maintaining brand awareness and affinity. Banks need to invest in both human and digital channels, in order to reflect customer needs, preferences and behaviors. A truly integrated channel strategy and structure, which is built around the customer journey, and which reflects the unique attributes of both human and digital channels, is vital for banks to optimize returns on their channel investment.